Many people seem to have made a hobby of spending hours at their local car dealerships. However, most of us would find it difficult to fit the average eight hours needed into our busy schedules to buy a new car from a dealer. Fortunately, you can avoid the time sapping decision fatigue that drags out the car buying process and saves time buying your new car. Not heard of decision fatigue before, its our first tip in “Top 3 ways to save time when buying your new car”. Decision fatigue is the term used to describe the mental process when the brain becomes overwhelmed about making decisions that the decision quality diminishes. Buying a new car is the perfect scenario for decision fatigue. Once you sit down with the salesperson, you will be asked about the model, the engine size, the colour, the spec, what extras you want and much more. As you spend seemingly endless time answering questions, by the time you need to negotiate the price, charges and fees, you are likely to feel so hazy, that you become vulnerable to agree rather than haggle. 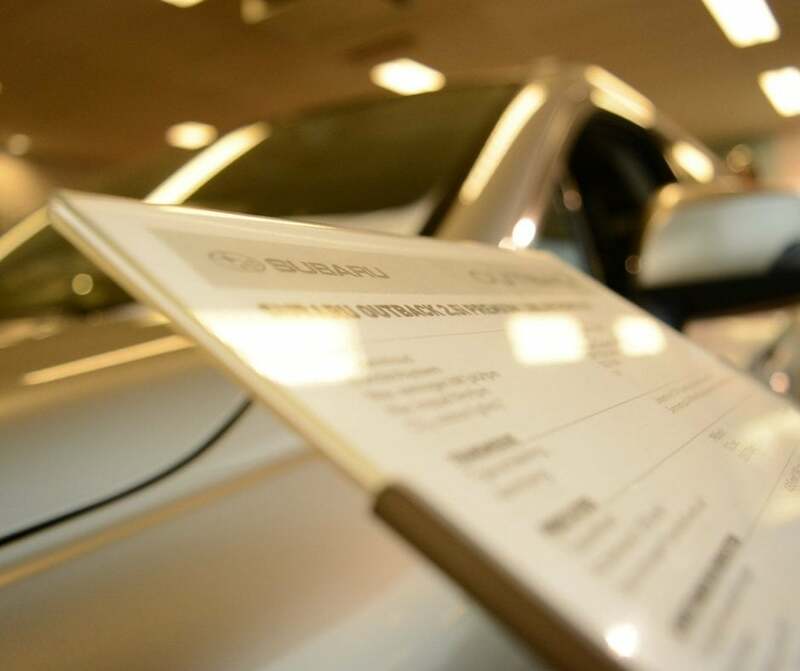 Car dealers understand decision fatigue and the best salespeople know the precise point to leave the room, introduce you to a sales manager or get you to read another form to drag out this process and compromise your negotiating skills. Fortunately, you can save time and money by being aware. You can save time and eliminate frustration by researching your vehicle options online. Most manufacturers have detailed, accurate information on each model variant on their website. You can compare models and variants to decide which spec is the best suited to your needs and budget. This will allow you to walk into the dealership with a clear idea of what you want and get down to the business of negotiating a great price. Before you plan out a whole day of test driving, consider test driving each car on a different day. At the very least, you should allow some time between test drives. This break will allow you to properly consider the merits of each vehicle. If the salesperson tries to start discussing the price, just let them know you’ll be in touch. You can then sit down and check out the cost of optional extras to see if they are worth it before you feel pressured to buy. Now you have read our top 3 ways to save time when buying your new car, you know you want to maximize your salary by taking a fully maintained novated lease out, why not save even more time! You can still look for your vehicle online and do a test drive at a dealership. However to save the hassle of trying to get the best price or deal ask us to do that for you because we can offer you fleet discounts. In case you didn’t know, individuals purchasing one car can access this discount, saving you thousands of the showroom price!